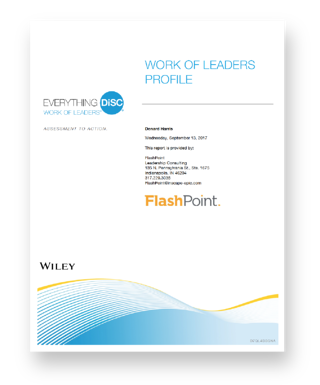 The Everything DiSC Work of Leaders® assessment helps leaders understand how their tendencies influence their effectiveness in specific leadership situations. The profile provides tips and strategies for developing leadership behaviors that support crafting a vision, gaining alignment, and executing on a vision. Everything DiSC Work of Leaders® approaches leadership as a one-to-many relationship, as opposed to the one-to-one relationship explored in Everything DiSC® Management. Using the framework of Vision, Alignment, and Execution, the Work of Leaders training program encourages leaders to understand their own leadership style and how that impacts effectiveness. Work of Leaders connects unique leadership styles to real-world demands, generating powerful conversations that provide a clear path for action.